Ryan Howard (aka “R-Dog” – find him on Instagram) is a professional mountain biker from our favorite coastal town: Aptos, California. He recently appeared in a video shot for Freehub Magazine and appearing on the website Pinkbike. It’s good to hear talk about how important the Aptos Post Office Jumps were not just to locals, but to the international mountain bike community. While the Post Office Jumps are gone, they’re certainly not forgotten – and probably never will be! January 1 is a Great Day for a Hike! Looking for a great way to start the new year in Santa Cruz? How about going outside and enjoying the great outdoors? Beaches, forests, and more! You owe it to yourself to check out these amazing Santa Cruz First Day Hikes for 2019. There are a couple right here in Aptos! There are a number of things that make this KOA a special place. To begin with, it’s located close enough to the beach that it’s easy to get to but doesn’t get too chilly from sea breezes. And it has a spacious swimming pool that is heated year-round, as there are many sunny and warm days throughout the year in Santa Cruz. There’s also a big hot tub next to the pool to keep you feeling warm and bubbly! The campground offers a number of “Camping Cabins”, a few tent sites, and dozens of RV sites to choose from. There’s a large convenience store on site, selling all kinds of camping gear, food, beer and wine, and a lot of camping necessities you may have forgot to pack like marshmallow roasting sticks, firewood and the like. They offer free WiFi throughout the campground, and there’s a little train too that makes a circuit around the campground at no charge to vacationers. The fun doesn’t stop there – they also have a mini golf course, gigantic jumping pillow for the kids to hop up and down on for hours, coconut palm climbing trees, outdoor cinema, vending machines, and a clubhouse with amusements for the children. Whether you are coming in from out of town or a local looking for a great family “staycation”, the Santa Cruz / Monterey KOA is the place to go for fun and relaxation at an affordable price. An indication of its popularity and momentum, Santa Cruz County Greenway is looking to Capitola, which is a key section of the Santa Cruz County Branch Line Rail Corridor. Greenway Capitola, a local transportation advocacy organization, is sponsoring a 2018 City of Capitola ballot initiative which aims to preserve and utilize the rail corridor and trestle for active transportation and recreation in the City of Capitola. The group is currently gathering paper signatures from Capitola registered voters. To help educate the public about the ballot initiative and the rail corridor, Greenway is inviting the public for a short talk and question-and-answer session on Wednesday, May 2, from 7:00 to 8:30 pm at the Jade St. Community Center (4400 Jade Street, Capitola, California 95010). Attendees are encouraged to come early to meet near the tracks behind the Jade Street Park baseball field at 6 pm for a brief rail walk prior to the Q&A session at 7. Greenway would like your help to spread the word – check out and share the event on Facebook. Not able to make it to the meeting and trail walk on May 72? Then please join Greenway for a second walk at 10 am on Saturday, May 5th, meeting again behind the Jade Street Park baseball field. Also, community members who are concerned with the future use of the rail corridor are also encouraged to attend the next SCCRTC (Santa Cruz County Regional Transportation Commission) meeting at 9 AM Thursday, May 3 at Capitola City Hall to share your thoughts in an oral comment at the start of the meeting. It’s important that everyone on the RTC understand how vital the future use of the rail corridor is to the community. Start the New Year Right with Curves Aptos! With the dawn of a new year, millions of people around the world will make a vow to take better care of themselves – to finally get into shape, and to stay that way. For many, that will mean signing up for a new gym membership. Many are called; but few are chosen – by the middle of March, many gyms are as quiet as they were in late December. But if you are ready for something different, start the new year right with Curves Aptos! Curves is not a gym – it’s a fitness center and healthy lifestyle community all in one. And for the new year, they’re running a special – a $1 enrollment fee for the first 30 women in 2017 who join Curves. That’s a savings of nearly $100! 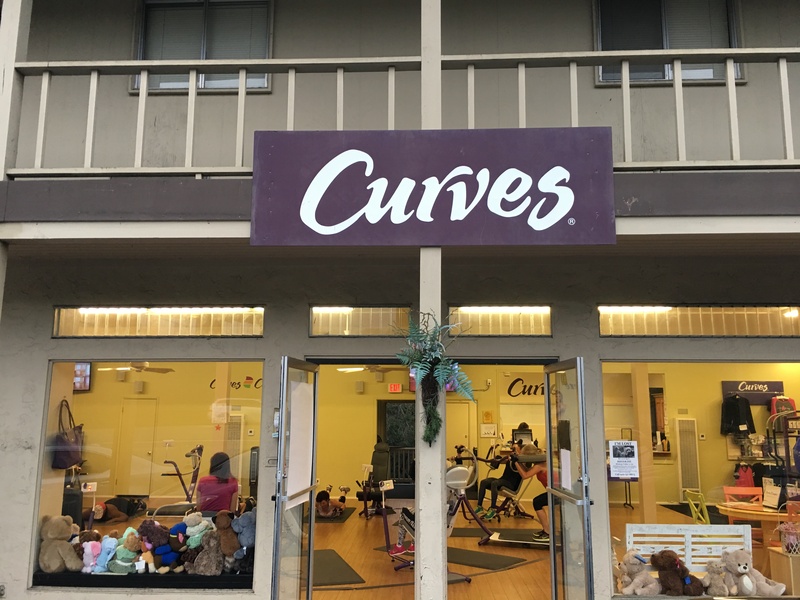 If you want to know what makes Curves Aptos different, read our business spotlight here. Curves Aptos isn’t just looking for new members – they’re also looking for new trainers. Yes, they’re hiring! If you’re a trainer or know anyone who is, please contact Janna Malizia at 831-688-2348!